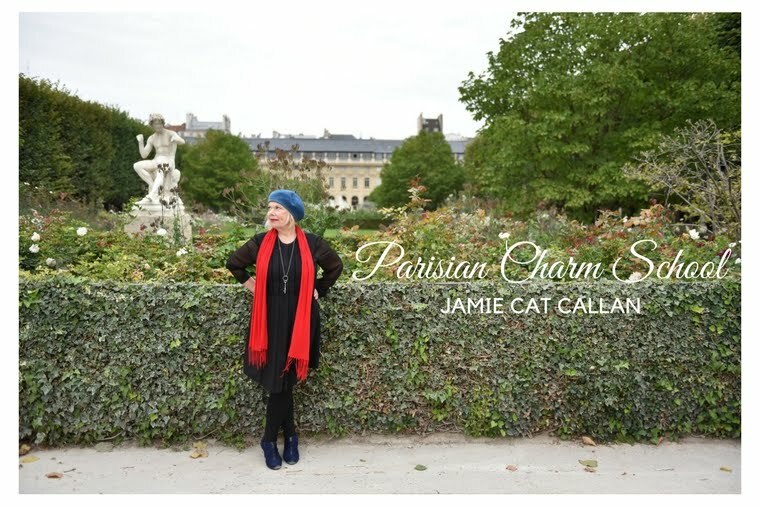 Jamie Cat Callan: Bonjour, Palma de Mallorca! My husband is at a sea-level rise conference (he's a scientist) and I am playing tourist here in beautiful Palma de Mallorca. It's a Catalan island off the coast. And so pretty! The Catalans have their own language and their own unique culture. You can see the Spanish, Roman, French and even Egyptian influence. 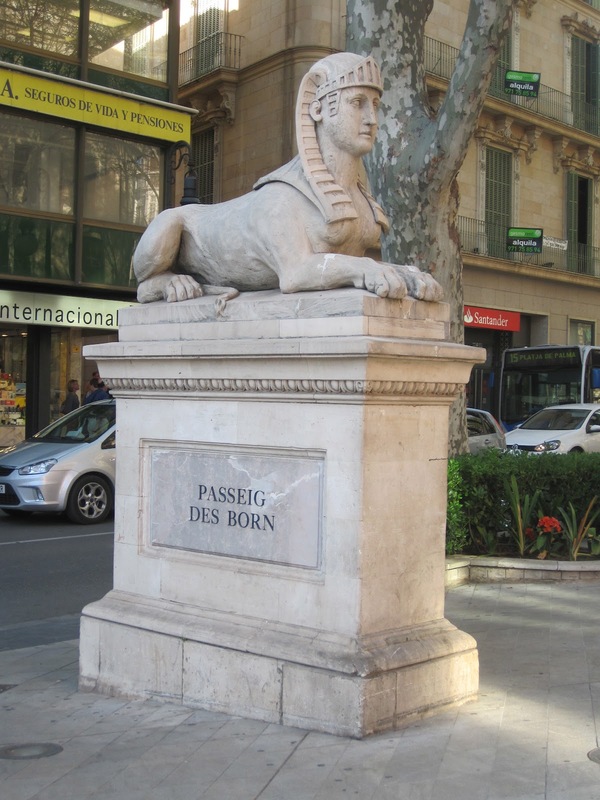 This is one of their famous Mallorcan sphinx that guard the Passeig des Born, where we are staying. I love the architecture! So many French-style shutters and little terraces! And here's one of their ancient windmills that you can see from the coastline. Lovely view of the water. Tres romantique! There are so many beautiful places to walk in the City. Or take a carriage ride, if you prefer. 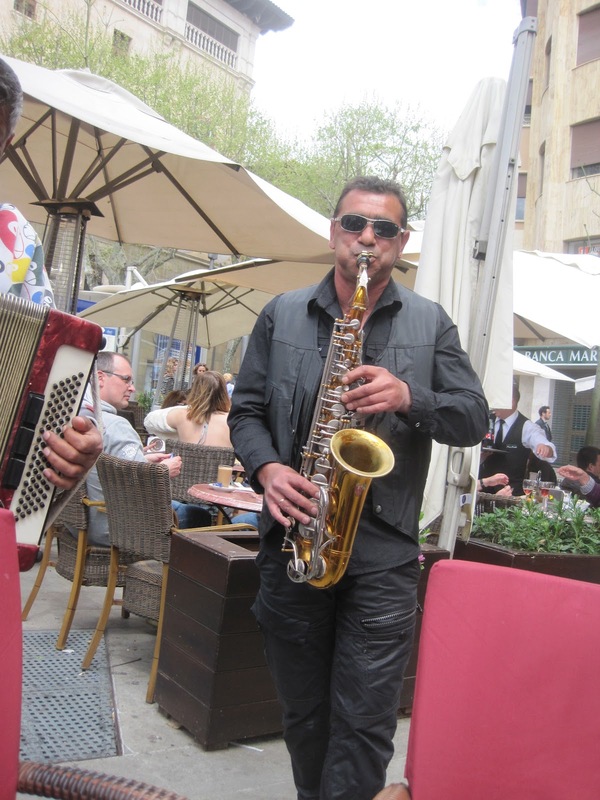 There's music everywhere your turn. I love how the old world mixes with the new. I found these two ladies walking side by side the other day and just had to take a photo. They are so charming! More photos tomorrow! For now, adios, mi amigas! Hola et Bonjour chere Jamie! I am sorry to be so late, are you still in Spain? These photos are terrific...what a gorgeous place!